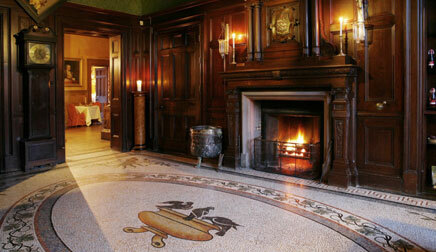 On this St. Patrick's Day, why not dream of Ireland! Check out some amazing Irish horseback riding vacations that we've personally taken over our past three visits to Ireland. Castle Leslie Estate is one of the last great Irish estates that is still in the hands of its founding family and has been called by many-- an equestrian's paradise. Staying is an Irish Castle is a unique experience, as is saddling up on Prince, a virtual horse, and riding the over 300 cross country jumps dot the estate grounds. Many travelers like combining Castle Leslie with the Ireland Training, Trails & Medieval Village Ride for a diverse Ireland experience. 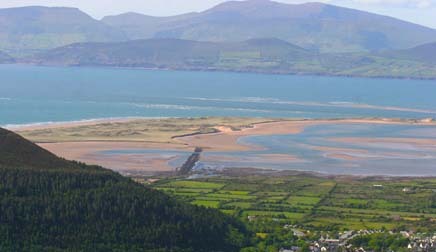 The picturesque Cooley Peninsula is a hidden gem in Northeastern Ireland, and fourth generation Cooley resident and equestrian Niall Connolly is a wonderful host. Wide-open spaces ideal for trotting and cantering, forested lanes that lead to old stone age circles and historic turf cutters roads surrounded by fields of bogland make for interesting riding, as do Ravensdale’s professional riding facilities. 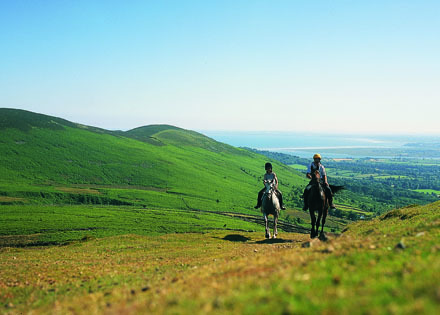 Ride horses over a mountain to Carlingford’s historic sites, which are well preserved, making a stroll in this village, a true step back in time. Focus on cross country, dressage, show jumping and flatwork amid 140 acres of beautiful parkland with an extra large outdoor arena, indoor arena, sand ring, private livery and competition yard, as well as a cross country course. Clonshire and beautiful Adare are only about a forty minute drive from Shannon Airport, making this a convenient Ireland equestrian escape. This is a very horsey part of the Emerald Isle. 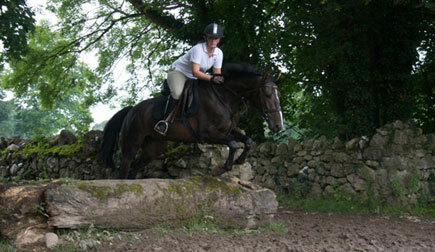 One advantage of riding at Clonshire is that you may be training with other Irish equestrians. It’s always a plus to get to meet locals and discover what horses and horse life is like in Ireland. 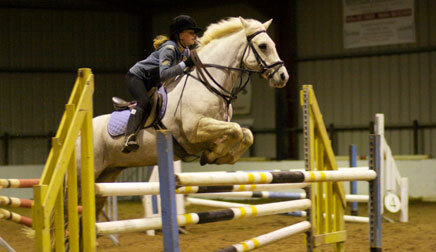 In July and August, kids may participate in Clonshire’s Children’s Riding Camp. Parents may choose to ride at stay in town at Dunraven or enjoy time out of the saddle by sightseeing while their children train in Ireland at horse camp! 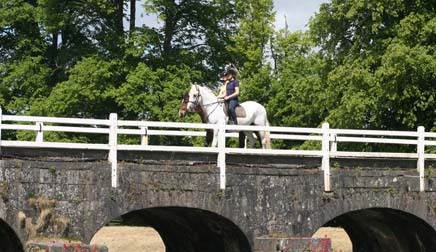 For those who want a more civilized riding holiday and to brush up on your riding skills, Mount Juliet is a great choice. 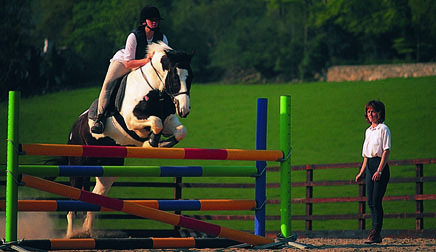 Riders and their non-riding companions can enjoy 1500 acres of parkland at the two centuries old Irish estate, experiencing horse riding, golf, the spa, special lessons and clinics in flatwork, jumping and cross-country. Ride with Irish horseman Willie Leahy, a true character! Enjoy the fresh salty breeze from the Atlantic Ocean as you trek through the contrasting landscape of the Connemara region of Ireland. Connemara is a wild and barren region west of the city of Galway. It is a stunning patchwork of bogs, lonely valleys, pale grey mountains and small lakes that shimmer when the sun shines. This ride explores the coast where the mountains meet the sea in a maze of rocky islands, inlets and sparkling white beaches. 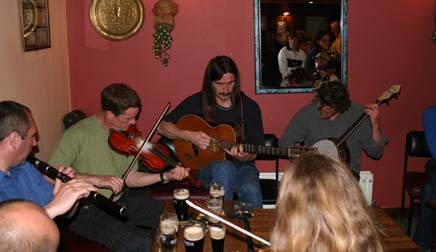 On many of these horseback riding vacations, you'll get to see what true small town life is like in Ireland by visiting local pubs and towns that aren't heavily trafficked by tourists. Your Irish hosts have carefully restored the 300-year-old farmhouse in County Clare. 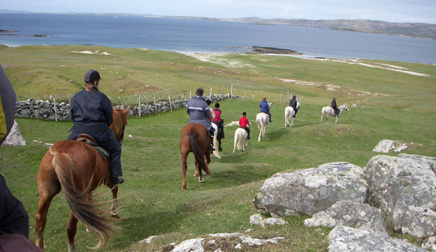 For Intermediate to Advanced riders, the Irish Castle & Monastic Ruin riding vacation is great, as it combines horseback riding with area historic sightseeing. Mornings are spent riding and each afternoon, you tour a historic site, including area castles and monasteries. 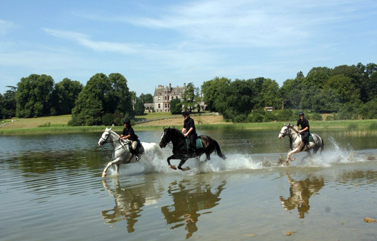 This equestrian vacation is featured in the February issue of Horse & Rider magazine's 50 Great Escapes! 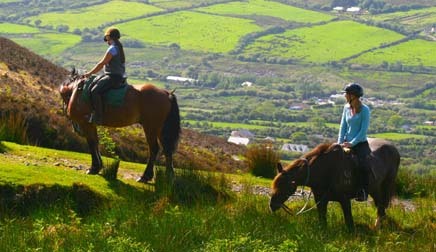 The trail riding vacation provides an unequalled opportunity to explore the highlands of Kerry with the majestic McGillicuddy Reeks, Ireland’s highest mountain range. Ride on country lanes and mountain tracks and Ireland's dramatic beaches. Situated in the south-western corner of Ireland, with its three famous lakes reflecting the ever changing skies above the great mountain ranges, Killarney has been the inspiration of poets and painters for many centuries, and now it is also a thriving commercial and tourist center. 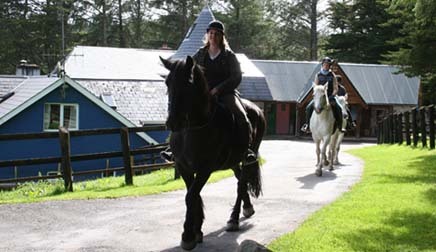 Check out great equestrian vacations in Ireland and contact Julie, who's tried all of these herself, to book your trip.